Swanky cocktail lounges or laid-back beach bars, full on party or simple night cap, whatever your day has left you wanting, you'll be sure to find the atmosphere you need. From elegant candlelit dinners, live DJs, Gombey dancers performance, to Irish pub, whatever you're in the mood for, Bermuda will provide the good times! 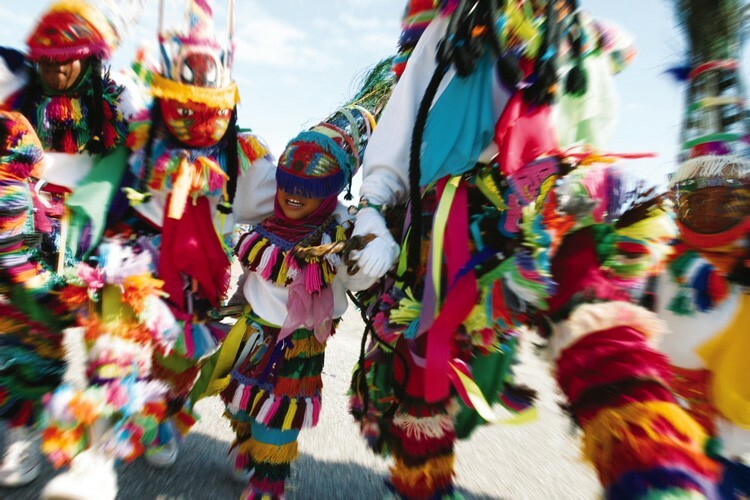 Break out your best Caribbean moves and dance through the streets with the famous Gombey dancers, or sip a ‘Dark n Stormy’ at a local bar- whatever you choose to do in the evening on your Bermuda holiday- it’ll be sure to awaken your senses. While relaxing on a beach or getting around the island to play golf, having a go at some water sports, scuba diving, visiting museums is fantastic in the daytime, as night falls, it might be that you’re after a little nightcap or two. If you’re over 18, Bermuda offers a variety of nightlife choices for you. A place to drink, eat and dance, with 5 large plasma screens covering main sporting events, weekly drink specials and quiz nights.Heading to a local bar is a great alternative any traveller who wants to enjoy a social evening of drinking without visiting a bustling night club. At J.J.’s Paradise in Marigot Bay, you’ll gather to sip on drinks while watching fire-eating shows, participate (if you choose!) in limbo contests and let loose with karaoke nights. 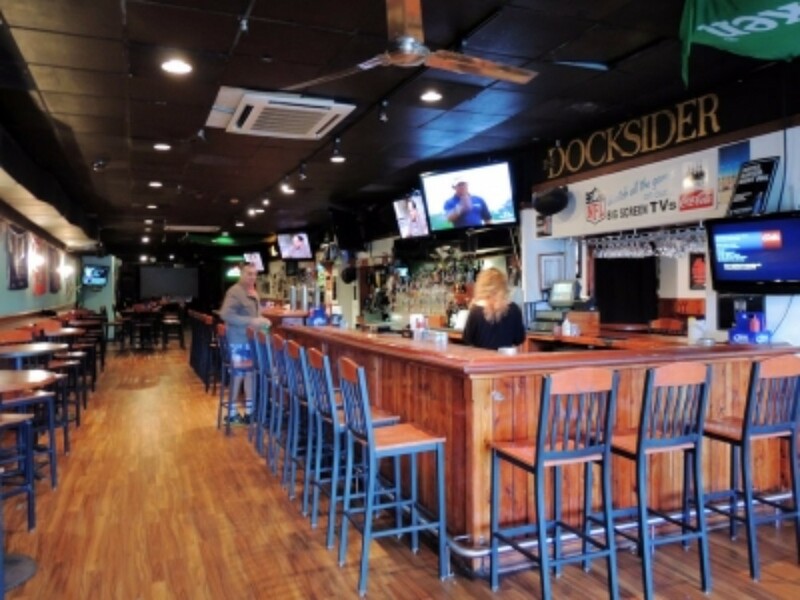 A local's favourite for all things sports and entertainment, with a great atmosphere and weekly specials including a Beer Pong competition on Tuesdays. Party the night away in this indoor/outdoor club reputed for its great dance floor, DJs, and weekly specials. For a taste of Barbadian and Caribbean cuisine in typical Caribbean relaxed surroundings. Just off Front Street, on Reid Street.The ultimate way to spend a night on the town in St. Lucia is by spending an evening at one of the island’s nightclubs. For themed evenings head to the Upper Level Night Club in Rodney Bay. 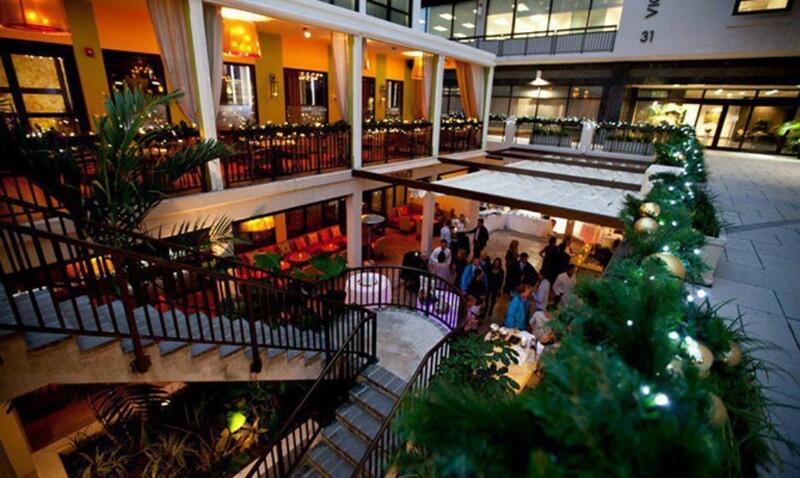 Great indoor and outdoor partying at this Bermudan nightlife hot spot situated at the heart of the city and overlooking the harbour. Open every day with food and drinks served until 3am.For a taste of Barbadian and Caribbean cuisine in typical Caribbean relaxed surroundings. Just off Front Street, on Reid Street. Exciting and varied program of live entertainment highlighting local artists, musicians, communities as well as social matters.For a taste of Barbadian and Caribbean cuisine in typical Caribbean relaxed surroundings. Just off Front Street, on Reid Street. Just off Front Street, this classy martini bar offers the perfect settings for those looking for a more sophisticated atmosphere. Perfect for a special date night or drinks after a business meeting.For a taste of Barbadian and Caribbean cuisine in typical Caribbean relaxed surroundings. Just off Front Street, on Reid Street. To step away from the usual clubbing scene, head here for a variety of fun themed nights including Open Mic Tuesdays, Funk, R&B, Reggae, and Motown Wednesdays, classic Rocks Thursdays, and the Anything Goes Fridays and Saturdays, hosted by a top Bermuda DJ.For a taste of Barbadian and Caribbean cuisine in typical Caribbean relaxed surroundings. Just off Front Street, on Reid Street. A classy spot to enjoy freshly made cocktails and delicious seafood within an indoor/outdoor complex also featuring a North American style restaurant, Victoria Grill, serving steaks, burgers and fish, as well as a small cafe offering takeaway bites and drinks.A classy spot to enjoy freshly made cocktails and delicious seafood within an indoor/outdoor complex also featuring a North American style restaurant, Victoria Grill, serving steaks, burgers and fish, as well as a small cafe offering takeaway bites and drinks.For a taste of Barbadian and Caribbean cuisine in typical Caribbean relaxed surroundings. Just off Front Street, on Reid Street. A favourite amongst locals and tourists, this establishment has been one of the island's top restaurants for 35 years. Fine dining and live entertainment in a charming traditional English atmosphere, you'll find Henry's on South Road, Southampton. 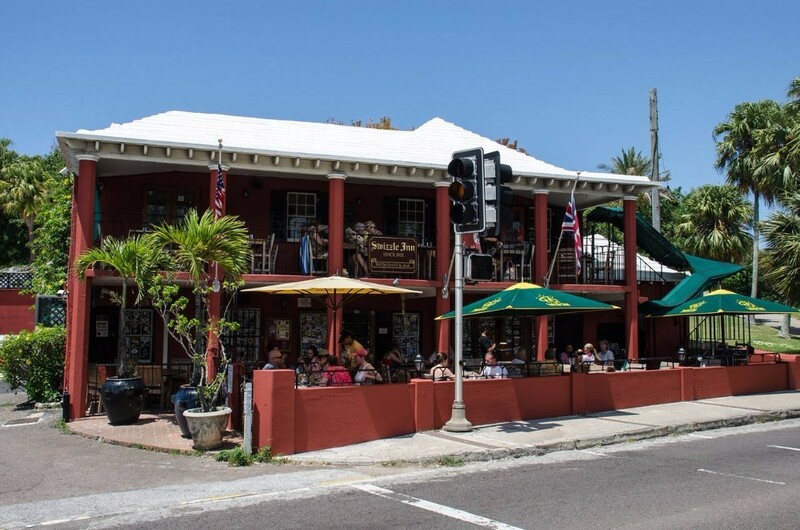 Bermuda's oldest pub and restaurant is the perfect spot to enjoy one of the place's famous Rum Swizzle which, since its creation, became one of Bermuda's major tipples. Find this old favourite in Blue Hole Hill, Hamilton Parish, or on South Road, Warwick. A Bermudan homage to the traditional English pub, this establishment is based in the Royal Naval Dockyard's 18th century Cooperage, and serves typicalBritish pub grub that you can wash down with a on-site brewed "proper" English pint. Find it on Maritime Lane, Sandys. If it's a great cocktail you're looking for, then head to this cosy bar. Overlooking the Palm Court Pool, you'll enjoy a selection of classic and local cocktails expertly crafted from the finest spirits. On Tucker's Point Drive, Hamilton Parish. Other Bermudan favourites include Club Aqua at Snorkel Park (Maritime Lane, Sandys), Flanagan's Irish Pub (Front Street, Hamilton), Hog Penny Pub & Restaurant (Burnaby Hill, just off Front Street). Most of the major Bermuda hotels have their own bars with many also having their own calendar of entertainment which you can dip in and out of as you please. But if you’re exploring further than walking distance in the evening, it’s worth remembering that ferry and bus services end relatively early in the night; taxis become the best option for travel around the island after a drink or two. Another way of getting around (if you aren’t having anything to drink, of course) are rental scooters. There are also the Caribbean booze cruises, typically setting off from Albouys Point on Front Street and which allow you to enjoy yourself while out touring the island's beautiful waters and getting a new view of beautiful Bermuda with a cocktail in hand.